Rebuttal to: Why Teaching Your Child to Read the Bible Literally Might Destroy Them… Literally. In language, we incorporate significance to words as they correspond with reality. If I write the word ‘house’ – in your mind you picture some semblance of a house with walls, a roof, windows and doors. If I write the word, ‘happy’ you think of the condition and experience of being agreeably content and feelings of well-being. We can therefore attribute a literal meaning to words, but they can also express a certain figurative meaning as well. When you thought of the word ‘house’ it could have a figurative meaning, in that it could express the idea of a real family lineage, as Joseph and Mary were “of the house of David”. Obviously, they didn’t live in King David’s house, but rather they were, in reality, his descendants. There are 66 books in the Bible that comprise 1,189 chapters, with 31,102 verses that contain 783,137 words. Each of those words have meaning and we can attribute to each, on some level, a measure of literal, ontological truth that relates to reality. Even the figurative language of the Bible has an application of something that corresponds to reality (In the previous example of ‘the house of David’ – Mary and Joseph were real people, belonging to the real family of King David). Much that is in the Bible, for some, is merely allegorical; however, there isn’t a single allegory that is without a literal application. If you see an American flag, that is a symbol, an allegorical representation for the United States of America. It’s a colorful piece of cloth, dyed in blue, white and red colors – but it addresses the reality of that political entity that exists in the North American continent between Canada and Mexico, and stretches from the Pacific to the Atlantic Ocean. Gehenna, the “lake of fire” is seen as allegorical to many liberal theologians – but Gehenna – a kind of refuse dump outside of Jerusalem couldn’t be what Jesus was referring to in regards to those who will be condemned on Judgment Day – that they would carry out their criminal sentence in a junk yard?? That place that seemed to burn forever (due to the gases released by decomposing matter), which Jesus referred to figuratively corresponds to something in reality that likewise burns forever – the lake of fire, where those who are condemned on Judgment Day will be consigned to forever. What determines if something in the Bible is merely figurative language or whether it is something to be taken literally? The context should reveal the answer. For example, John the apostle, in his many visions recorded in the book of Revelation saw such things as beasts rising up out of the sea (REV 13:1). Was he witnessing a literal beast, coming up out of the sea? I believe that he literally saw a vision of this, and that this vision corresponds to the reality of a one world political entity as well as a personage rising to power over all the world (read the explanation of the vision in the following verses: REV 13:2,5,7-8,16-18). When Jesus declared that He is the Bread of Life (JOHN 6:35), or the Door (JOHN 10:7), or the Vine (JOHN 15:1), He didn’t intend people to believe that He was fresh baked out of the oven, or had hinges and a knob or had branches growing out of His sides – these are obviously figurative, but corresponds to reality in that just as bread brings nourishment to the body, Jesus brings nourishment to our spirit; that He is the means of access by which we may enter in and find eternal life; that we are to abide in Him if we are to be productive in spiritual growth. Is that figurative language or literal? 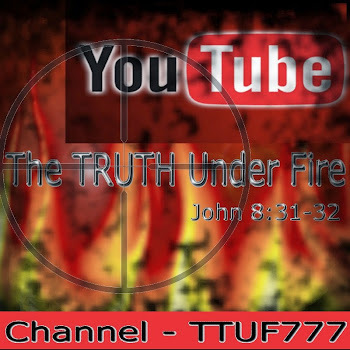 It’s literal, because there is only one way – one Person to salvation (ACTS 4:12), there is only one source of spiritual truth, the LORD Jesus Christ (EPH 4:21); similarly, there is only spiritual and eternal life through the Father (JOHN 17:3) and the Son (1 JOHN 5:12) and the Spirit (ROM 8:10), the Eternal Godhead. These things don’t correspond to something else (bread, door or a vine) that refers to the subject (Jesus), they correspond directly to the LORD Himself. Orthodox Christianity has always believed (aside from those who aspired to leadership, but whose views were heterodox) in a grammatical, historical hermeneutic*~ in order to exegete*~ the proper meaning within any passage of Scripture. If we are to understand ontological truth, as recorded in Scripture, we must trust that the words recorded by prophets and apostles are precisely written as God intended (2 PET 1:21), so that we can know and understand the truth from a literal interpretation of the Word of God. There is no need for ‘ultra-literal’ just as there is no need for ‘ultra-allegorical’. Truth is truth and may be rightly represented by words, rightly expressing “that which corresponds to reality”. *~ For definitions of these words, go here. Black and white essentially means that there is a right way and a wrong way, with nothing between, no ‘shades of gray’ as it were in how one believes something, or conducts themselves. To be close-minded of course means that you are not open to other possibilities outside of what you already adhere to. In biblical matters of doctrine, we are open to the revealed Word, not the doctrines of men (traditions, dogma); this is known as canon (see this three-part series that addresses what canon is). We are not free to interpret Scripture in any fashion that appeals to our own sensibilities, bias and, or beliefs. We are not to conform the meaning of Scripture to our personal perspectives, or that of others, but rather the reverse – to conform perspectives to what the Scriptures teach us. Scriptural truth is not our personal property to be interpreted according to our own will; it belongs to God and He has given the stewardship of it to these inspired men of God who wrote faithfully, using literal words to convey a literal meaning, both verbally as well as literally. Since what we have in these 66 books of the Bible IS the Truth of God, and God being all-knowing (omniscient; ISAIAH 46:9-11) and the author of truth (JOHN 14:6), we need not seek alternate sources for truth, or alternate methods of understanding the truth of the Bible other than those methods that have been utilized by the saints of God since the beginning. Can anyone cite one example of anyone in the Bible that heard the Word of the LORD or read the Word and didn’t take it literally? Adam? Noah? Moses? Daniel or Jeremiah? What about Peter and Paul (and Mary!)? Even the allegory that Paul spoke of corresponded to reality (two covenants: one of promise (grace) and one of the law; GAL 4:24). This so-called “over-literalistic . . . [hermeneutic of] thinkers is precisely how we are to handle the Word of God. For this reason, the belief that we have, that all we need for truth, for counsel, for guidance and comfort and wisdom (1 COR 2:6-16; 2 PET 1:3) is found in God’s Word, we need not seek out other sources, and by remaining “close-minded” we are in a sense, spiritually hermetically sealed so that no false doctrines and, or beliefs can penetrate our minds and hearts! There is no such thing as being overly committed to the Word of God! 8 This people draweth nigh unto me with their mouth, and honoureth me with their lips; but their heart is far from me. 9 But in vain they do worship me, teaching for doctrines the commandments of men. I must make something abundantly clear here: just as much as there is a tendency for liberal theology and churches that adhere to such a hermeneutic and practice that reassigns meaning to the plain truth of the Word, there are ALSO those conservative, so-called fundamentalist theologies and churches that will go beyond the teachings of Scripture and form doctrines unsupported by the Holy Bible. I personally know of some churches that refer to themselves as fundamentalist that teach water baptism is necessary for salvation, or that God hates sinners, or that anyone outside of ‘their fellowship’ is not a true Christian, or to be a true Christian, you must be a patriotic American, etc. In such cases, both extremes, whether liberal or fundamentalist are wrong. “. . . some history . . .”?? GENESIS is history, right from Chapter 1 to its conclusion. History must be observed in order to be valid, people would say. Of course! God witnessed everything, and then inspired Moses to write it all down. All of Exodus, Leviticus, Numbers, Deuteronomy, Joshua, Judges, Ruth - - need I go on? OK, Psalms and Proverbs were devotional/poetical in content, but even there, one can find historical content. The Gospels are historical, as is Acts – there is historical content in all of the epistles, and certainly the book of Revelation records history in advance in the form of prophecy. What book is being referred to? The Book that contains all of Scripture (JOHN 5:38-39). Theology is the study of God and His plans (JER 29:11), covenants (PSALM 89:3) and dispensations (EPH 1:10). I would say once again that the entire book is a study in theology! Those would be other words, Joel – what he knew was not his Bible, but his denominations views on the Bible, according to that church’s beliefs – which may or may not be biblical. We won’t know because Joel wasn’t forthcoming in naming his church or what they taught. It is vital that we not study creeds, a church’s dogma, be spoon-fed teachings by any pastor exclusively, but rather study the Word for ourselves, and compare Scripture with Scripture – let the Bible comment on itself (Any book of the Bible you choose to study, you have 65 of the very best commentaries, bar none, to help you understand the book of your choice of study: the rest of the Bible! And again, according to God’s interpretation – not one’s personal interpretation (2 PET 1:20) or that of others; study any verse in context of the entire passage, the entire chapter, and book, and all the counsel of the Scriptures (the Christian’s ultimate goal is to keep every verse in context of the entire Bible!). We can’t afford to open our minds to the views and perspectives of others whose bias is not based on biblical fidelity in handling the Word of God without deceit (2 COR 4:2). If we unlearn the unbiblical doctrines of men (MATT 15:9), and even more so the doctrine of demons (1 TIM 4:1) which are proliferating at an alarming rate, leavening all of Christendom, in favor of apprehending the truth found in the purity of the Scriptures themselves, then I say, Amen! But if we look to another man’s interpretation as something fresh, and something good to open ourselves to – then we are merely trading one set of man-made dogma for another’s! Most seminaries and universities today do have a liberal bend in their theology today. Most teach that Jesus was not Deity, or that He was not born of a virgin – that much of the Bible is mere allegory and stories, not to be taken as historical, literal truth. Many embrace Universalism/Unitarian beliefs. “I had the exact opposite experience. I learned to read the Bible there in ways that my literalistic upbringing would never have taught me to [did they teach that Scripture is not to be taken literally – or as literally God-inspired by the Spirit Joel?]. For the first time in my life, I began to really LOVE Scripture and feel genuinely transformed by it. It wasn’t until sitting under healthy pastors and seminary professors that I broke free of the tyranny of the “literal” Biblical hermeneutic. I think this statement is most telling. 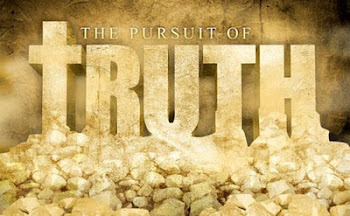 Rather than embrace the clear truth of Scripture as revealed by the historical/grammatical method by which God revealed His Word (where specific words have specific meaning in so much that God says what He means, and means what He says, and we can understand – literally – what He meant in this revelation He has given us) Joel felt that to subscribe to the truth, as is, recorded in the Word and taken literally is tyrannical, when he would prefer to open himself to alternative meanings that would be more palatable to him. 27 And Jesus looking upon them saith, With men it is impossible, but not with God: for with God all things are possible (see also ROM 1:16; JOHN 3:15-17). “Here’s the problem with that: if you train your kids (or yourself) to read the Bible like there is only one way to look at it [“one way”, as in God’s way, as He intended for us to understand His Word as He Himself grants to us understanding? LUKE 24:32, 45; EPH 4:21], as if Paul and Peter and Jesus and Moses and Isaiah were intending with their words to write the catechism for your particular faith tradition, [no, not catechism or faith tradition, but biblical doctrine that all too often runs counter to church dogma, particularly of the liberal sort that denies a six-day creation week as plainly taught in Scripture (GEN 1:23-31; EXOD 20:10-11) or teaches amillennialism or denies theauthorship of the Torah as being Moses: Jesus endorsed that idea in LUKE 24:27; and JOHN 5:46 )]. Other views, but are they true views? Views that are in alignment to the whole counsel of God’s Word? Or views that promote heterodoxy? 3 For what if some did not believe? shall their unbelief make the faith of God without effect? 4 God forbid: yea, let God be true, but every man a liar; as it is written, That thou mightest be justified in thy sayings, and mightest overcome when thou art judged. Good! Church traditions should be abandoned, at all costs, particularly when they are unbiblical! However, the person known as Saint Nicholas was in fact, real but then over the centuries legends embellished reality and he became the ‘Santa Claus’ we know of today. Parents could tell their children of the historical person and that would be grammatically-historically correct – or as near to it as we can get. Adding to the history such mythic tales of colorful wonder is actually lying. Likewise we have, not fallible human beings, but the infallible God working through fallible human beings to record His Word – and it’s when such allegorical additions are made, that liberal and, or heterodoxical views are made. It is the responsibility of every professing believer of Jesus to strip away church traditions, man-made dogmas and extra-biblical beliefs and get back to the Bible itself and study it for oneself, with the guidance of the Holy Spirit and the full counsel of the canonical and complete revelation of Scripture to know the truth. And to “hold on for dear life” to the precious Word of God. If one is well grounded in the Scriptures themselves, the sure foundation, the Rock of our salvation, knowing the truth and what one believes and why, they believe it – they can be exposed to any tradition, dogma, belief or practice and know of a certainty their falsehood because the Word of God in conjunction with the Spirit of God enables the saint to discern truth from error (HEB 4:12; 5:14; 1 JOHN 4:5-6). I believe it’s actually healthy to expose false beliefs, to children well along their way to learning the Word of God, in incremental doses and challenge them to use the Word of God to expose the error in them. The saint that is well armed with and in the truth never need fear being swept away into error! Let’s call this what it is. In extreme cases like my own, it can border on spiritual abuse; at the very least, it’s incredibly naive. It’s not just misguided parenting, it’s simplistic, idealistic, and worse, it actually undermines the very thing these parents (apparently) want for their kids — to grow into adults that embrace Christian faith! This kind of presumption boggles my mind — to sacrifice a child’s faith on the altar of a couple of pet doctrines that historically have absolutely no centrality to the orthodox Christian faith. (If it’s not found in one of the ancient creeds of the church, why is it a hill we choose to die on?). It’s a shame that Joel never identifies which ‘pet doctrines’ he’s referring to . . . And it is spiritual abuse to sabotage a child’s faith to suggest that the Scriptures may contain the truth but not be the truth of God’s revealed Word. To suggest that in order to understand the real meaning of Scripture, one must rely upon – not fundamentalist teachers, but those of the liberal bent (but I don’t necessarily agree with either view!) or university or seminary professors for that matter – such allegorical switch-and-bait practice, to forsake one dogma for another, is not the issue here. The issue revolves around the singular question that is at the heart of Christianity (and it’s not a question about ancient creeds of the church, nor necessarily of so-called orthodox Christian faith): Is the Bible, from cover to cover, the full revelation of God’s Word, recorded in understandable language by which we can understand literally what God intends for us to know? My personal answer is, a resounding and completely affirming,YES!! “I’m under no illusions that this blog post will convince hardline fundamentalist parents. I do hope that there are a whole host of much less extreme parents in conservative evangelical churches – who love Scripture and want their kids to love Scripture, but that find themselves easily trending toward this pseudo-fundamentalist, faux-literalist way of reading Scripture – that will wake up to the ways they might be actually inoculating their kids against faith and Scripture. And never one citation from Joel or example of a pseudo-fundamentalist pet doctrine or an imitation literal method of reading Scripture! They will indeed inoculate their children, IF they teach the simple truth as found in God’s Word (and if it sounds like I’m repeating myself, I am! ): they will be inoculated against any false doctrine, tradition or creed that runs counter to the truth. I agreed earlier to letting children view alternate viewpoints, but only once a sure foundation has been laid in their hearts and minds with the canon of the Word – and any faithful Christian that is properly exercising that faith will receive that faith by understanding (as given by God) through the Word of God (ROM 10:17). Finally, a statement that I can agree with – for the most part. During their formative years, children do need to be taught what to think, they need information – about God’s Word and given evidence that they can and should believe it. In providing evidence, we can move on from there and show children how that evidence pertains to proving Scripture to be what it claims to be (this is known as the field of apologetics; be advised, this author does not necessarily agree with every web site endorsement in the preceding link), and they can use these methods in understanding how to think critically. If we love Jesus, then we will love His Word – literally!